Well, just got back from New York City and it was pretty awesome. We arrived in Chinatown around 10:30pm and walked to our hostel. “Hostel” being a stretch of the imagination. Our room was barely big enough to fit two twin beds together (which is all they had available, instead of the separate beds we had requested). Seriously, it was tiny. You’re not even supposed to talk after 9pm because there are so many rooms squashed in and the walls don’t go all the way to the ceiling. Trust me, you can’t even imagine it. I was going to take pictures, but I totally forgot. It was also coed with only 2 showers on our floor, one of which didn’t have a door! Definitely sketchy! 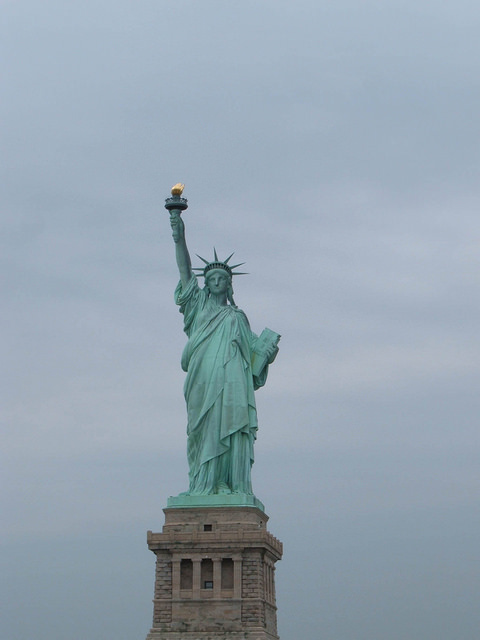 The next morning, we went for breakfast at a decent diner we found, and then took a ferry to Liberty Island and saw the Statue of Liberty. Unfortunately, since 9/11, you can no longer climb up to the top, but it’s still pretty awesome. Then we continued on to Ellis Island, where thousands of immigrants passed through, hoping to be accepted into the US. It was a pretty incredible place to visit and they had lots of pictures that were taken during its heyday. It gives you a good idea of what the immigrants had to go through. 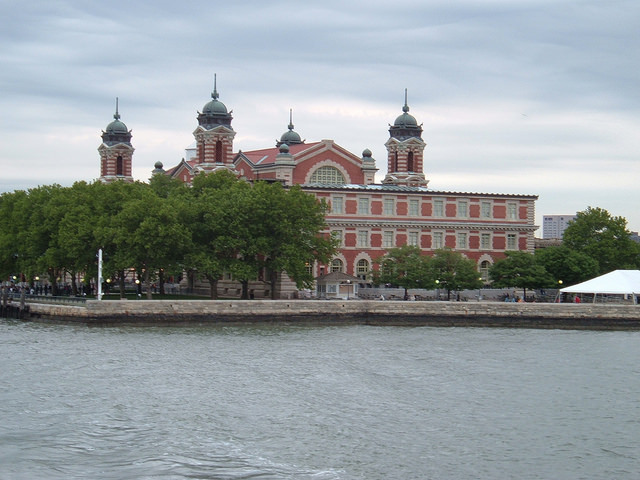 For those of you who are interested, here are some interesting things about Ellis Island. After arriving, the passengers had a 6 second examination by a doctor, to see if they had any diseases or were insane (no snap judgments there!). If they passed, they could continue to the next checkpoint. If there were any doubts, they were marked with a chalk and taken for a more detailed exam. Many had to stay on the island for a couple of weeks until they got better or passed away, as was the case for too many people. Then they had to answer some questions and either passed or failed based on their answers. If they failed, they were sent back to their country. For many, America was their last hope and to be turned away was devastating. There was one sad case where 600 Russians were refused entry and the thought of going back was too much so they committed suicide. 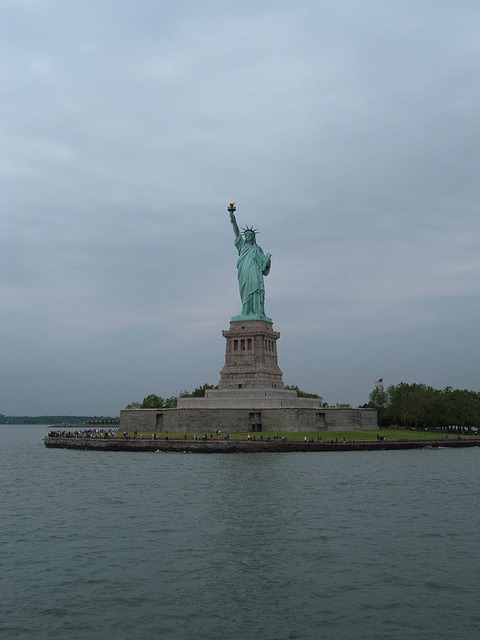 About 2 percent of the millions of people that passed through Ellis Island were refused. 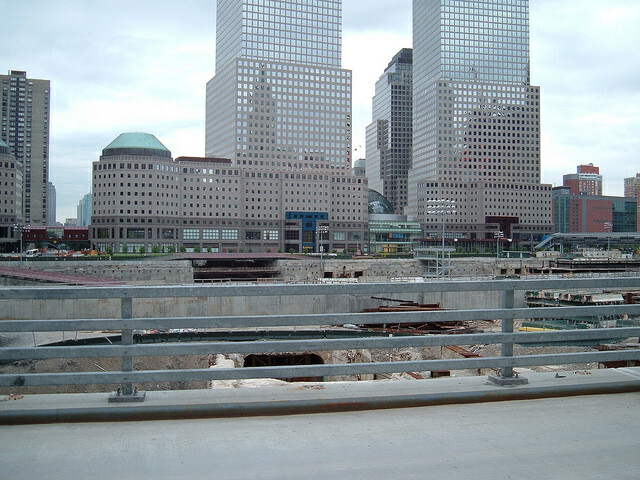 We then took the subway to the World Trade Centre site, which is beyond words. It’s hard to describe the feelings and sadness and the hugeness of it all. 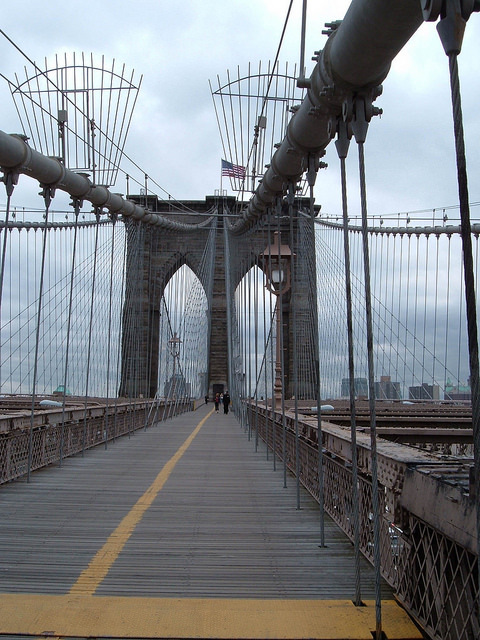 From there, we went to the Brooklyn Bridge, which is massive and very impressive. We didn’t walk across the entire thing, because we were short on time and it’s really long, but it was really cool. Then we went to the Empire State Building. Looooong line-up, but well worth the wait. The view was spectacular, even though it was so windy (and freezing) that I thought we would blow right off the building. We then walked to Macy’s and then Times Square, which is very cool. Crazy amount of people, I guess because it was Saturday night. Then we walked up Broadway to Radio City Music Hall, which is hosting the Tony Awards tonight, then to Rockefeller Center. From there we returned to our diner for a snack before heading back to our hell-hole (we weren’t in too much of a rush to get back) and promptly fell asleep. We had walked all day and I couldn’t even feel my feet anymore! So this morning we woke up, had breakfast and went to Madison Square Garden, which was neat, then we went to the New York Public Library, which is supposed to be awesome, but it was closed, so instead we walked up to Madison Ave and happened upon a Filipino parade, which was interesting. Then to Sak’s Fifth Avenue, an upscale department store and every girl’s dream (or at least this one’s). I actually held a Jimmy Choo in my hand! There was also a crazy old lady who was giving me the evil eye and actually hit me with her umbrella (purposely) as I walked by! And that was IN the store. Whatever. From Saks we walked up Fifth Avenue to the Gugenheim Museum, then the Metropolitan Museum of Art, then walked through Central Park for a bit before we made our way back to the hostel, picked up our luggage and went back to Chinatown to meet our bus, which was overbooked so we had to take the next one. New York City was everything I expected and nothing at all like I expected. It’s very dirty, it is completely different at night and when it’s nice, it’s really, really nice but when it’s ugly, it’s really, really ugly. Sadly we didn’t see anyone famous but thankfully, we didn’t see any rats or cockroaches! 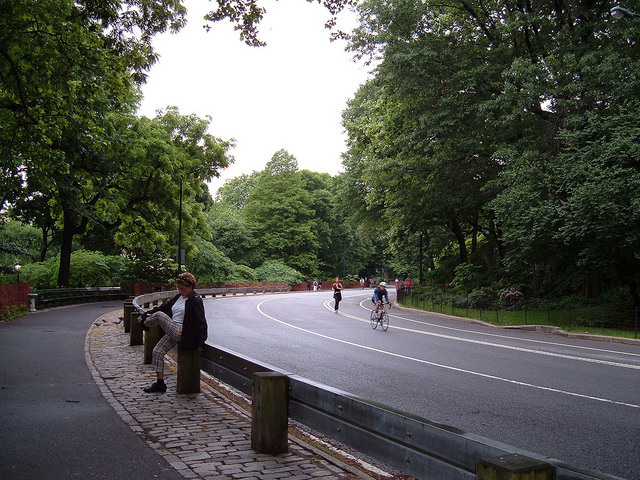 The subway system and the streets were actually pretty easy to manage. We never really got lost and it’s quite easy to orientate yourself. We did have a few incidents where we went right instead of left, and uptown instead of downtown, but all in all it was okay. Lots of interesting people there and there’s so much to see and do, and that was just in Manhattan. I am definitely planning on coming back one day.